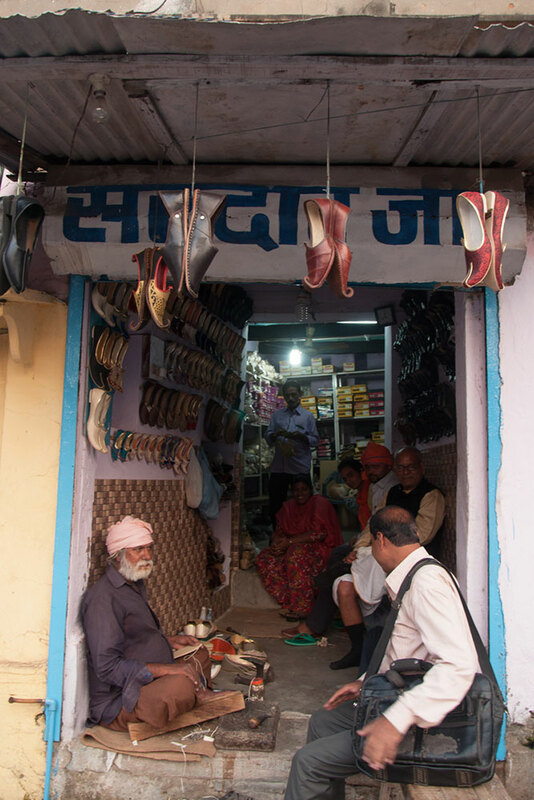 Shop of Sardharji where Sherwani shoes are made. 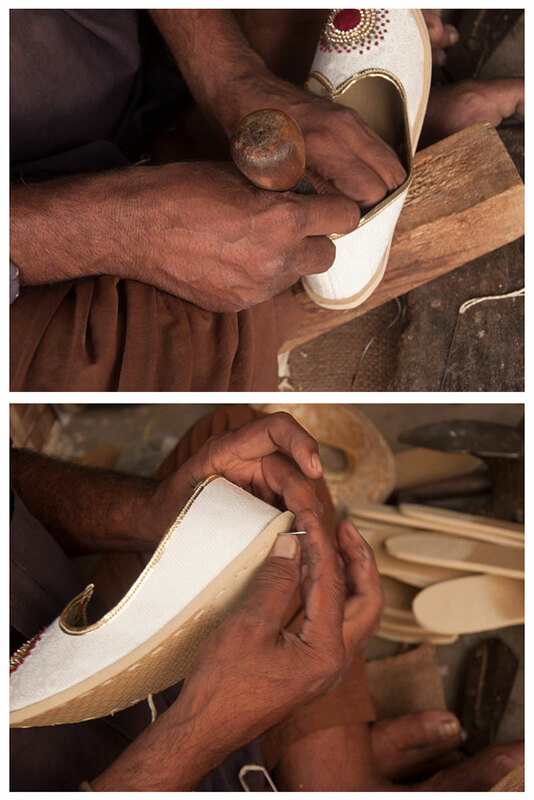 Mater craftsman involved in making of sherwani shoes. 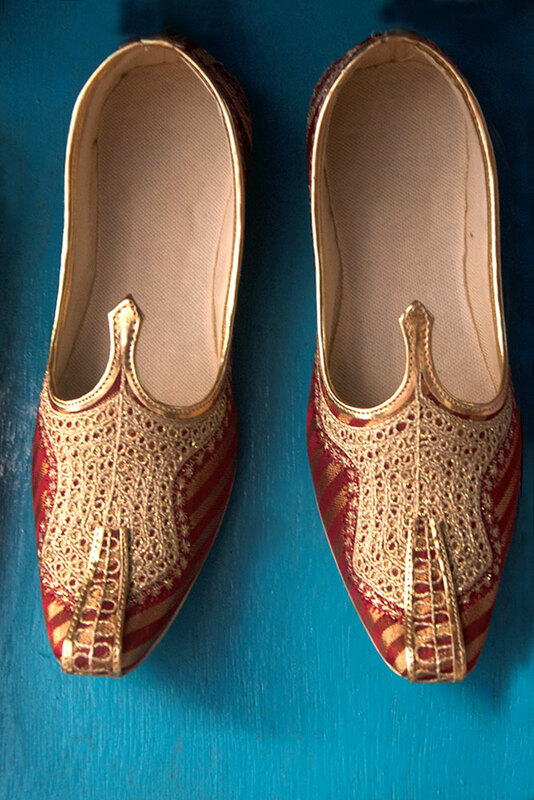 Men’s Sherwani shoes which can be worn with traditional attire. 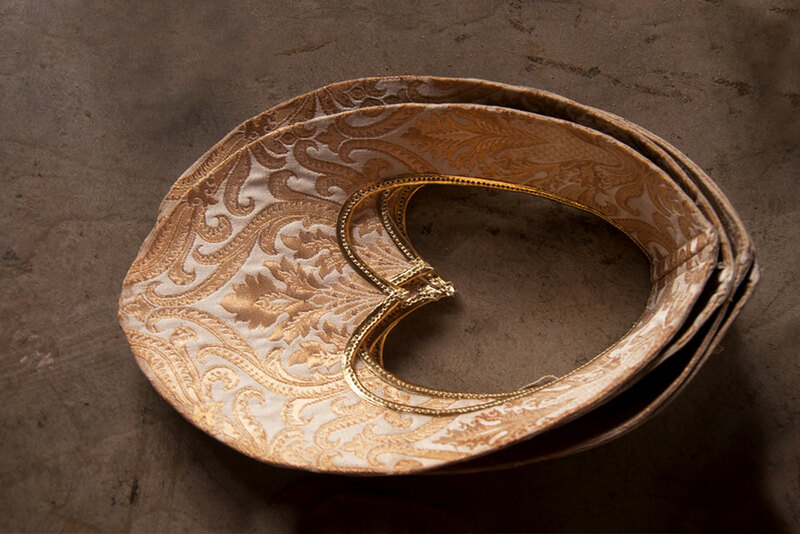 Sherwani material used to make upper part of shoes. 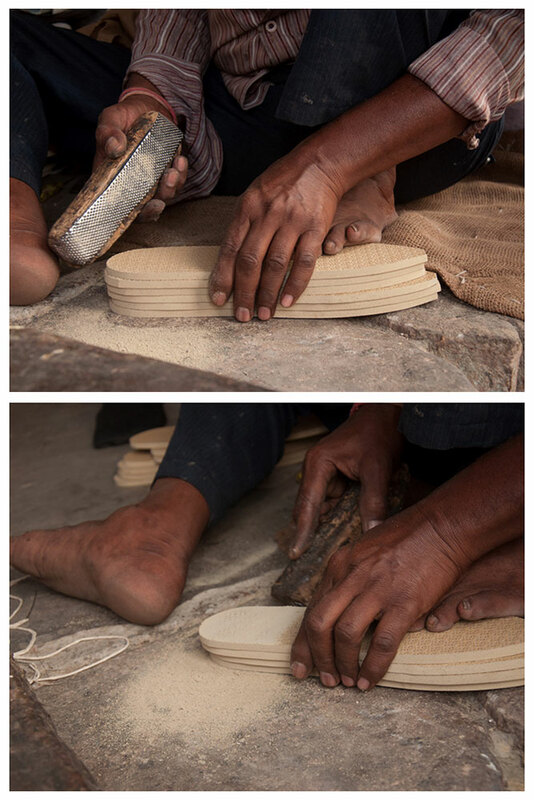 Upper part is being stitched to sole. 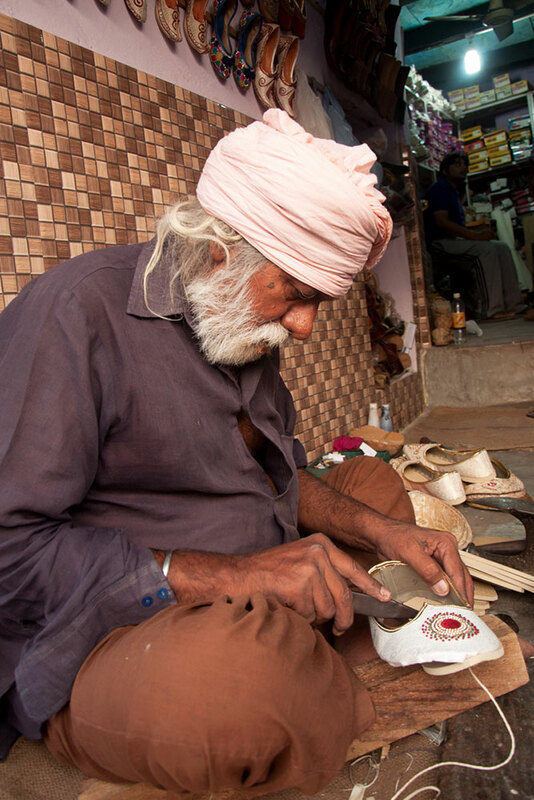 Artisan is shaping the Sole part of sherwani shoes. 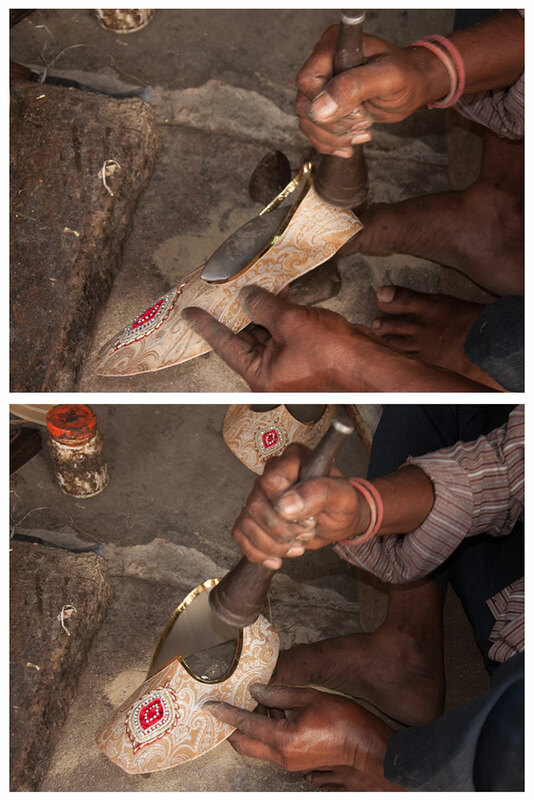 Shoes are stitched by piercing a sharp chisel. Edges are being shaped using buffing machine. 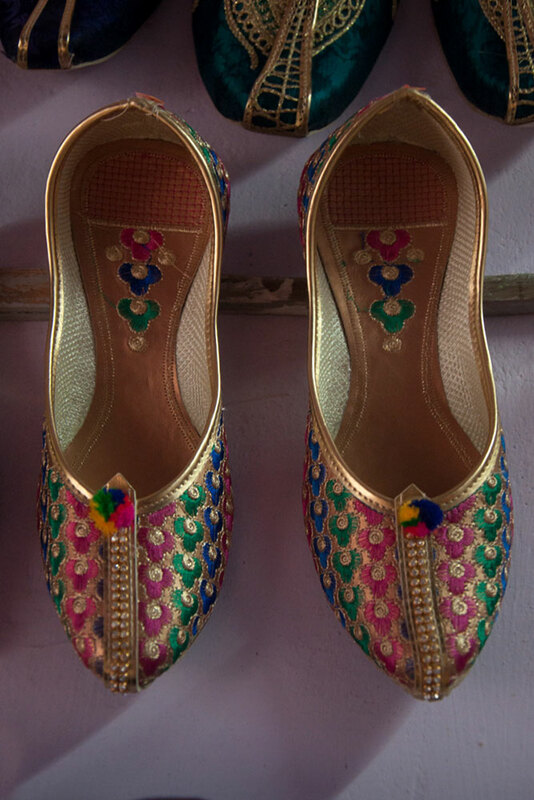 Grooms shoes, which can be worn with traditional attire. 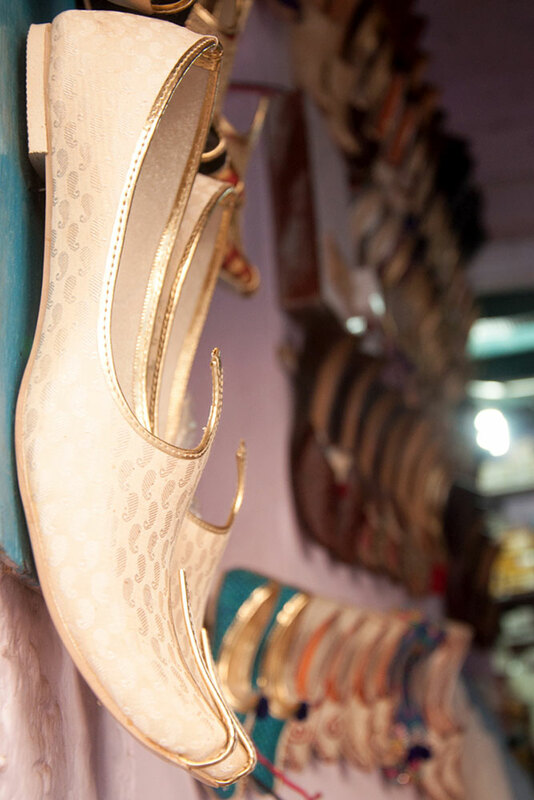 Elegantly designed shoes, which are generally worn with tradition attire. Multiple colored designed shoes of girls. 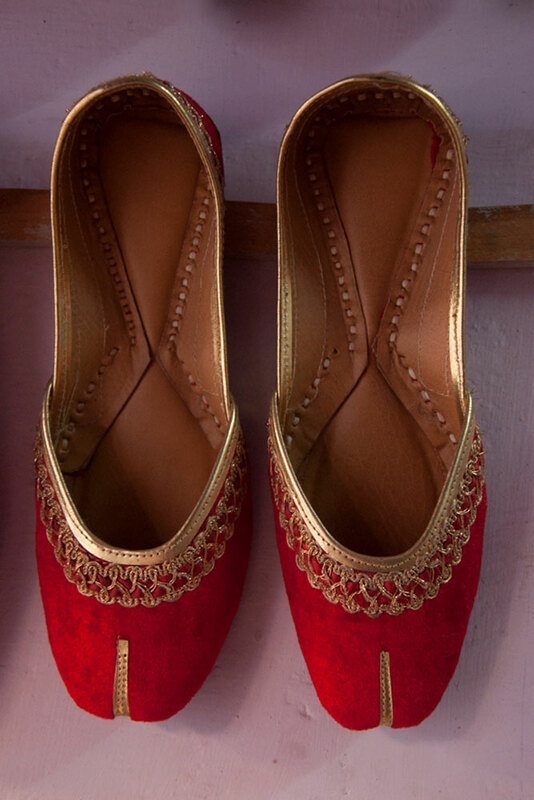 Red and golden combination shoes usually worn in festivals and marriages. Wedding is a grand occasion in one’s life which comes once in lifetime. It is almost like a festival with loads of celebration all around that is very colorful and lavish, with a slice of pomp and show creating an exciting environment. 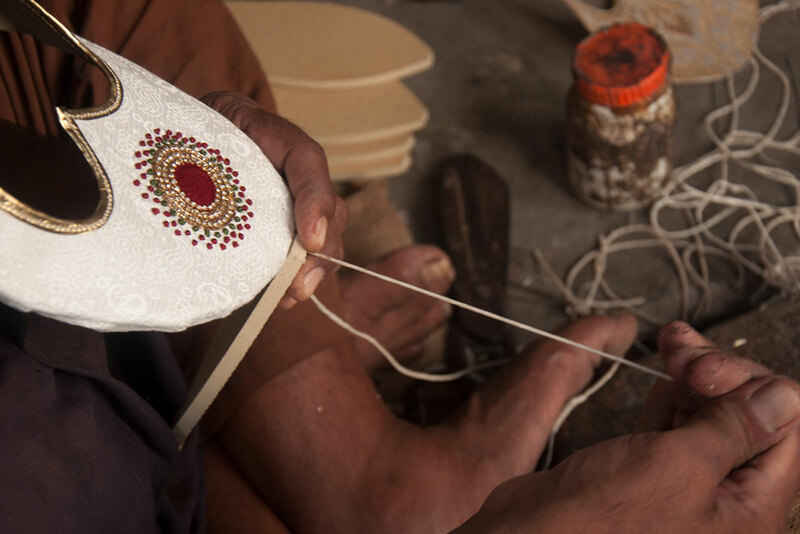 Juttis are a type of footwear that is common in North India and neighboring regions. These sherwani shoes are very unique when compared with other shoes. They have no right or left distinction and are round or pointed toes with flat sole. 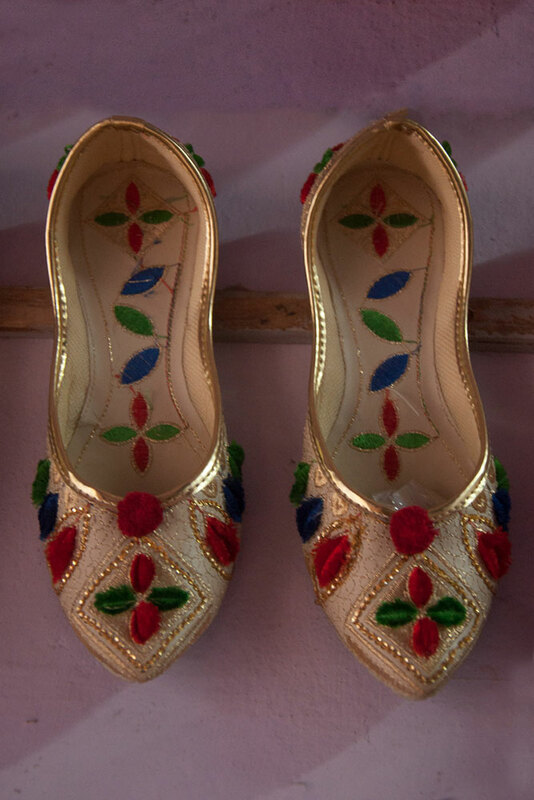 Traditionally they are made of leather from hide of buffalo or camels and the top upper portion of these shoes are made of textile which are embroidered with smooth gold jari, jardozi and salma sitara embroideries elaborately done featuring sequins, real gold and silver thread with the application of pearls, beads, precious stones and lustrous beetle wing beads.